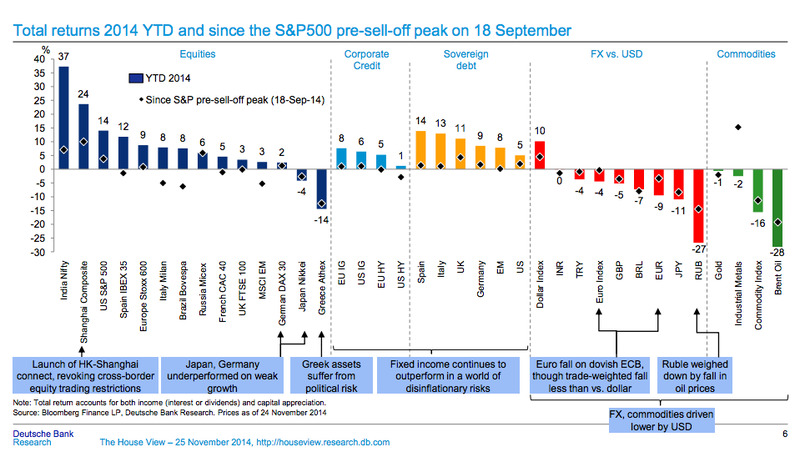 From Deutsche Bank’s “The House View” slide deck comes this chart of the winners and losers of the market in 2014 to date. The coloured bars are year-to-date total returns, while the black diamonds are returns since September 18, the pre-sell-off peak. 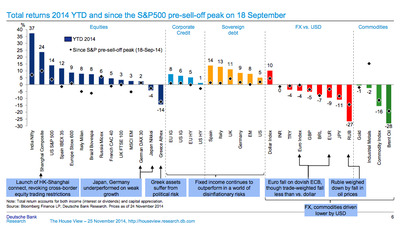 Indian, Chinese, and to some extent US stocks were the place to be. If you were long yen, rubles, or any commodity you may have gotten crushed. Good news, though: There’s still a month left in 2014 to turn it around.